SAFE FOR SENSITIVE SKIN. 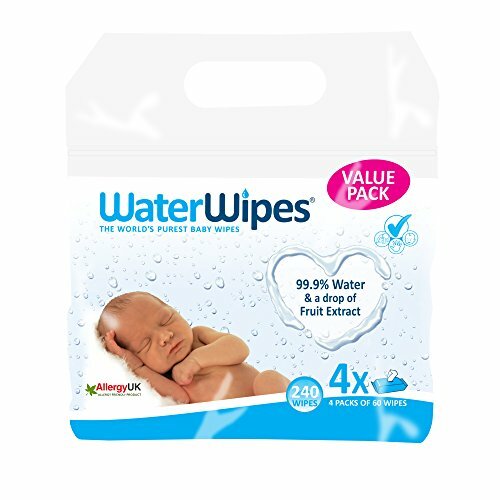 Ideal for cleaning babies' delicate skin, WaterWipes sensitive baby wipes are gentle enough to use even on premature babies. Approved for use by Allergy UK. MIDWIFE RECOMMENDED. 97% of midwives* recommend you use cotton wool and water or WaterWipes. (*Source: Spark research study on 102 Midwives, October - November 2014). SUITABLE FROM BIRTH. WaterWipes are the world's purest newborn baby wipes. Perfect for the sensitive skin of a baby, toddler, or an adult. A suitable alternative to cotton wool and water. ONLY TWO INGREDIENTS. Contains 99.9% water and a drop of fruit extract. The fruit extract acts as a gentle skin conditioner. MULTI-USE WIPES. Other suitable usage includes: cleaning baby's hands and face when they are weaning and teething, as well as for use on adult's sensitive skin care, elderly skin care and as pet wipes. 4 packs of 60 unscented wipes make it easy to bring your WaterWipes with you when you travel. 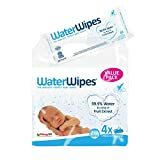 WaterWipes are developed, with water and a drop of fruit extract, for newborn babies' much thinner and more delicate skin which is very sensitive to chemicals that may cause irritation and rashes. 97% of healthcare professionals* recommends WaterWipes. Maternity wards in the UK and Ireland regularly use WaterWipes and recommend them to new parents. 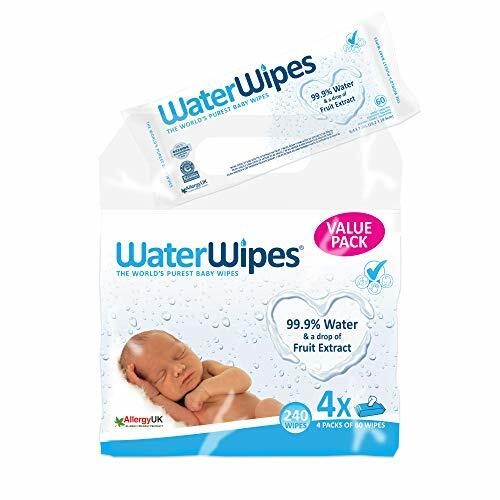 WaterWipes are made with purified water and a drop of fruit extract. 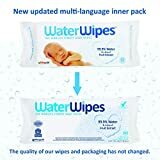 Because of this, WaterWipes can be used not only for diapering but also: - Baby's face and hands or a quick head-to-toe wash. - Weaning & Teething. - Adults' allergy prone and sensitive skin types. - Elderly skin care. - Pet Wipes. - General body skin care (for camping, hiking, picnic, sports etc).